A huge number of drownings in the U.S. are a result of ignorance. Ignorance in terms of not wearing lifesaving jackets. According to the United States Coast Guard, 9 out of 10 deaths occur on inland waters. That translates to 90% of drownings happening just on the edge of safety. Even shocking is the fact that the victims owned a personal flotation device, but they didn’t wear them. The U.S. Coast Guard requires all owners to equip their vessels with life-saving jackets approved by the Coast Guard. However, the type of jacket and the number will depend on the number of people on board the vessel and the type of vessel as well. But before you walk into a store to buy life jackets, you have to know which type of life jacket you’ll require and what time to wear it. These devices are commonly known as PFDs and can also be called vests or life jackets. These life-saving devices are common in boating, cruise ships and watersport activities and are also used for worker protection on bridges, ship repair, docks and oil rigs located offshore. PFDs use the principle of buoyancy to help a person keep their head above the water if the person cannot do that themselves. In that regard, there are various ratings for various PFDs. The ratings will depend on the type of buoyancy needed and the application required. For that, there are 5 types of PFDs approved and required by the USCG and other law enforcement agencies. Adults will need an additional 22lbs of buoyancy compared to the weight of their body. that is according to the Personal Flotation Device Manufacturer’s Association. The following is a list of the different types of PFDs and when the USCG recommends their use. These jackets fall in type 1 PFDs and are the best regardless of the situation or waters. Whether remote water, rough seas or open ocean. Also, these jackets can be used on vessels hired by passengers and commercial vessels. These vests fall in type 2 PFDs and are used on waters near the shore where rescue is fast-coming. In addition, these jackets will turn the wearers face up while in the water. The jackets can be used for other boating activities. As you can see, these devices are built for watersports and some will inflate once you hit the water. Besides that, the USCG recommends that the devices be used on calm inland waters where rescue is fast-coming. These are type 4 PFDs and as the name suggests, these devices are thrown to people in distress. Some of these devices include horseshoe buoys, ring buoys and seat cushions. Note that these devices are not wearables and therefore shouldn’t be worn by persons. These devices fall in type 5 PFDs and are meant for special conditions and uses. Some of the uses include water skiing, kayaking and windsurfing. Some of the PFDs in this category include hybrid PFDs, deck suits and vests among others. They work like the inflatable vests which will inflate once you hit the water. Now you understand the need for flotation devices on boats or any other vessel for that matter. You also understand the different types of PFDs and when to use them. The next time you engage in water activities, make sure you have one of these PFDs with you to save lives. For more on safety, you can visit aceboater.com and enroll for a boating license. Learn four steps to follow if you want to build a long-term survival shelter when the situation gets nasty. The process is so simple that anyone can pull it off provided he or she has the right information. You too can do it. Use this resource to build a suitable shelter to meet your needs and requirements. Knowing how to build a long-term survival shelter is perhaps the most basic survival strategies a prepper should hone. A long-term survival shelter is vital if your retreat or home is compromised due to an extended period of collapse. In such cases, a low-quality family tent or a poncho shelter will only serve you for so long. Such shelter should be able to protect you and your loved ones from the direct effects of the elements. It should also be strong enough to resist wild animals. While you need to have some survival skills, you need not be a professional to build a long-term survival shelter. Here you can also read about Permanent Shelter in the Wilderness click here. You can learn and master the necessary skills by reading this tutorial. It aims to provide you with reliable information to help you build a dependable shelter for long-term survival in case SHTF. Even more beautiful is that you can build it using natural resources you obtain from the environment. The raw materials for building this survival structure are available in the woods. The listed tools and equipment should aid you in building it. Ensure you put safety first by using gloves and other safety gear. You do not want any tool to fail when you need it most. Therefore, ensure you check the condition of the tools before you pack them. You may include all the tools you need but remember to keep things light. You cannot afford to be injudicious when it comes to picking the spot for building your long-term shelter. The spot should be in a location that will let you sleep and rest peacefully. The no-go zones include muddy, swampy or bumpy grounds. It’s a brilliant idea to build it close to a water source. However, it would be a terrible idea to establish it right next to a water source. This is because the water level could suddenly rise and flood your shelter in a matter of seconds. Also, avoid locating the shelter directly under a stiff cliff or in a lower ground. The aim is to protect the shelter from landslides or surface runoff following a heavy downpour. While it may be nice to situate the shelter on a raised or higher ground, such areas are in the direct pathway of strong winds. The best ground for building a long shelter is a flat area surrounded by proximity terrains. It is easier to build a shelter on such ground. Besides, you will start a fire with much ease. In case you fail to find a flat spot then you can dig trenches or try to flatten the ground as you possibly can. A survival shelter does not have to be comfortable. However, it should be able to offer you adequate protection from the elements as well as other influences from the environment. The first consideration should be the capacity. How many people are going to use the shelter? You also need to consider how much time you will spend in the shelter. The prevailing temperature of the area is as important just as the overall weather of the area. The kind of shelter you build also depends on whether you will start a fire within the shelter or outside. Failure to take care of these issues could predispose you to the complications of extreme temperatures. This design is extremely simple to build. It also provides lots of space. All you need are tall standing trees, branches, and limbs. Select two tall trees that are approximately 6 to 8 feet apart. Collect some straight and strong branches. Using a paracord, tie a long branch across the two trees forming a reversed U-shaped frame. You can then arrange smaller branches and limbs along the frame to the bottom and securing them with additional paracord. Cover the gaps in the shelter with additional branches, leaves, bushes, and appropriate debris. Building a Wicki-up shelter is a little bit more involving than building a lean-to shelter. To build it, you will need a lot more branches to form a frame. The size of the frame will determine the overall size of the resultant shelter. Once you make the frame, use additional branches, bushes, leaves, and debris to cover gaps. Find a few dozens of long branches and bind them together to construct a funnel frame. Set the funnel upside down and cover it with similar vegetations. The result is a well-ventilated shelter that will protect you from elements. If the cover you use consists of fresh and wet vegetation then you can start a fire within. This shelter design is ideal for survival during winter. A snow cave will offer you perfect shelter from cold weather and freezing winds. To build this kind of shelter, select a spot with a very deep snow bank. Use your shovel to scoop snow in order to dig a tunnel into the side of the snow bank. Dig up enough space within the snow bank to fit your needs. Ensure the top of the sleeping compartment is a few inches away from the snow surface above. This is to prevent the roof from collapsing due to weight. Poke a few holes within the surface to act as ventilators. You have now learned how to make the three different types. The type you choose is entirely your prerogative. Once you have your shelter, slide the supplies you need to have a resting and sleeping place. Ensure there is enough room for everyone who will be responsible in the wilderness. If the ground you have chosen is not flat or has poor drainage then you can dig trenches around to prevent your shelter from being flooded by surface runoff. You also need to ensure the cover is thick enough to provide you with good insulation from the elements. That is how to build a long-term survival shelter. It is simple as that. As you can see, it does not require any special skills or professional training to pull off. Do not try to make something complex because a survival shelter does not have to be as comfortable as your house. The good thing now is that you know what to do in case you find yourself in a dire situation that interrupts your normal life. When you are faced with an emergency, in most cases time is of the essence, so you have to act fast. Would you know what to do in different situations? Will you be ready for anything that comes your way in a crisis? If preparing for emergencies now could possibly save someone’s life in the future, what could be more important than learning what to do? Of course, nobody wants to think about these things, but the truth is disasters happen no matter what. This article can at least help give you some first aid basics for common scenarios while you can get a well-equipped first aid kit and more by visiting this website. 1. Do you know what to do if someone is unresponsive from drowning or other? If you should ever come across someone who is unresponsive and you are the only one at the scene (or the only one, who knows what to do,) first and most importantly– do not panic and call 911. In addition, check to see if they have a pulse by placing two fingers lightly on the side of their neck right below the ear for ten seconds. For chest compressions, place one hand over the other in the center of the chest and push down firmly and continuously. After 30 thrusts of compressions, give two breaths into the mouth by pinching the nostrils shut and covering their mouth completely with yours. Then back to compressions and continue to switch back and forth until help arrives or the person starts to breathe on their own. 2. Can you stop or control bleeding? The number one cause of trauma-related preventable deaths is uncontrolled bleeding. This is very unfortunate since it is not very hard to stop or slow bleeding down enough to save a person’s life. Had someone taken the time out to read an article like this — as you are doing now — many victims would still be with us today. In the case of any of the above happening, you will have to take action immediately. Use a tourniquet by applying it two to three inches above the wound making sure to place it above joints. When using a tourniquet pull it tightly until the blood flow stops and then fasten it to stay in place. It is very important that you note the time of placement and let whoever takes over know the time since leaving it on too long could cause the patient to lose the limb. 3. Would you know what to do if someone has a head wound/concussion? When the head suffers a blow it can cause bleeding or swelling of the brain, which can be serious, but these are worse case scenarios. The first thing to do is, hold the patient's head between your two hands in the position the patient was already in to immobilize the patient's head. 4. What would you do if a person were badly burned? Being burned is no fun and the more severe the burns are, the more deadly they can be, not to mention painful. Fortunately, people can be burned pretty badly and still survive but may need help. Here is what you can do to help a burned victim. • Determine the source of the burn first before approaching the patient. If the cause was electrical, then make sure the power is turned off before coming in contact with the victim to ensure your own safety. • If the victim is not breathing, distribute rescue breathing shown above. • Next, remove any belts, jewelry, or anything else wrapped around an area on the person’s body, as burns tend to swell rapidly. • Try to elevate the wounded areas above heart level. • Watch the victim for signs of shock, such as unusual breathing, pale skin tone, or passing out, and more. 5. How would you handle a broken bone? Fortunately, in most cases, a broken bone does not require emergency assistance unless the bone is severely protruding through the skin or is located in the neck, head, pelvis, or spine area, then it is serious business that will require immediate attention. No matter where the fracture may be, try not to move it, especially if the broken bone is in one of the more severe locations. Should any of these symptoms occur, call 911 before taking further action. If you are not professionally trained, do not attempt to align the broken bone as this can cause worse damage to nerves and blood vessels. If the broken bone is located in a limb than you should make a splint out of something hard enough to keep the area immobilized like cardboard, hard plastic, or a stick. Stand it up next to the injured bone and tie something around it to keep it secured. Although the above mentioned, are the most common risks that people face during an emergency crisis, there are plenty more and there also may be more ways to handle them, which you can learn about by simply searching in google. Imagine all the lives that could be saved, if everyone were to learn these basic first aid skills. There is no better feeling than knowing that someone is alive today because of something that you did. Have you ever dreamed of packing the entire family in an RV and just start driving? I’m sure you did and so have others, but for many, the RV dream is just that: a dream. Now, if you’re truly passionate about the outdoor and you’d like to enjoy yourself on the road for a few weeks, the RV is the best way to do it. It’s accessible, it’s a lot cheaper than staying in hotels, and allows for some amazing bonding moments. However, it’s not all roses and unicorns, especially when you travel with the entire family! The space in an RV may be well-designed, but it’s still compact and tight, which tends to get very annoying when anxiety hits. I learned this from years of RVing around with the kids, and now I have a nice guide for anyone who wants to optimize the experience. While they’re not that difficult to maneuver (especially modern ones), they have a lot more controls and gadgets than a regular car. So, before you start a few weeks long trip, take the time to drive it around the home base and learn what every switch and button does. Also, have a look under the hood and pay attention to the waste disposal system. Learn how to hook it to a power line and how to add fresh water, play with the cleaning system, and always do a bit of tinkering around the engine. This way, you’ll be able to solve most of the possible problems yourself and avoid spending unnecessarily on mechanics and towing services. I already mentioned that space is crowded, but it can get really crowded after one or two weeks of constant living in the RV. So, to reduce the discomfort, I strongly recommend getting some high-quality beds (https://www.mattressmatchers.com/best-rv-bed/) – after all, if everyone sleeps well, it’s less likely to feel irritated. Also, try to create a system where everyone gets to use the shower and the facilities without having to wait around. Keep things clean and every item in its place to avoid cluttering the small space – organization should be the word of the day! While the kitchen area is not fantastic, by day four you’ll all be fed up with no-cook meals! So, bring out your creativity and look for some meals that can be cooked over a camping fire or a small stove. The kids will appreciate a warm meal and the atmosphere around the fire will be a lot more pleasant than being crammed in the RV. Also, if you like fishing, you now have a fantastic opportunity to show off your skills! Pull the RV near a river and become the proverbial meal provider of the family by bringing home some freshly caught fish. It will be delicious on the grill or cooked in a pot. Usually, the RV uses power from the battery or from the main line (when hooked up), but you can also use solar panels specially designed for campers. They don’t occupy much space and you can easily install them on the roof of your RV. Furthermore, some are powerful enough to power up several gadgets at a time, so the kids could charge their phones and tablets, while you’re using a laptop. It’s a great way to save battery life and get some green energy out of your trip! RVing is a wonderful experience that will teach the kids about being outdoors and will reinforce the bonds between travelers. But, to have the best trip, it’s important to be creative and tolerant of the others. Do you love hunting or shooting with bows? Or, do you enjoy fishing? Have you ever thought about fishing with a bow or bow fishing? Bow fishing is a fun and rewarding sport. Here is my personal experience practising bow fishing. As I was growing up in a place not too far from a wonderful creek in the farmlands of the Midwestern United States, I got to learn that if you can’t catch’em with a hook and line, just shoot’em. So, I decided to try bow fishing to catch some Carp. Like most kids, I was very adventurous in my early years. I used to try everything from making weapons to shooting arrows with makeshift bows. I was lucky to have shot some rifles and shotguns as a kid. I also made slingshots and even made a sling very similar to the one David used on Goliath in the bible. But, somehow the bow and arrow seemed to be my weapon of choice. There was one issue however. I couldn’t make a good bow and arrow all by myself and I didn’t have enough cash to purchase them as a kid. On one summer vacation while in Carr Lake in Northern Indiana, my dad and I went to a local hardware store to look for some supplies. The store had the usual tools and equipment, some fishing gear and even some bows and arrows. While looking around, I stumbled on a fine 45 lb pull recurve bow that was being sold for $20. I immediately decided to gather some money from doing chores like cutting grass and come back for the bow. I ended up mowing lawns all across towns for several bucks each and after a few weeks, I had gathered enough money to buy the bow. I went back to the exact hardware store where I had seen the bow only to find that it’s price had been increased. I was very disappointed, something that even the hardware store attendant realized and asked if everything was okay. I told the attendant that I had seen the bow a couple of weeks back and it was being sold for $20 but now the price had gone up. I explained that I had to work really hard to get the money for the bow but now I didn’t have enough to get it. Helplessly, he told me that he was sorry and that there was nothing he could do about the price. Luckily, the owner of the hardware store owner was present and overheard our talk. He came over and talked to the attendant. The attendant apologized and told me that the bow had been mispriced and that the price had been adjusted. The store owner then approached me and asked a few questions, and then instructed the attendant to let me purchase the bow for $20. At first, I didn’t believe it. I was very ecstatic and I guess that is why I ended up becoming such an excellent bow hunter. I quickly rushed home and started teaching myself how to shoot. I set up numerous targets all over my back yard. It didn’t take long before I had mastered the art of shooting. My bow became my weapon of choice for all manner of sports and games. A longbow or recurve bow is perfect for bow hunting. I found that with practice I could instinctively hit targets with ease. I didn’t need to do much to hit targets. Later on, I purchased a compound bow that I now use to hunt big game but with it, I could never hit targets instinctively. I know that there are many people who currently use compound bows for bow fishing but from experience I have learned that this is not the best bow for fishing. This is because when shooting fish swimming under water, you don’t shoot directly at the target lest you miss. With bow fishing, you must learn to shoot beneath the target. I learned about bow fishing as a sport through a magazine article. It seemed fun and after checking the local fishing regulations, I found that it was okay to catch carp using a bow and arrow. I remembered how there were plenty of big carp swimming in the creek and so I decided that I would go bow fishing. There was one problem though, I didn’t have the bow mounted string reel, string and fiberglass arrows that were described in the article. I asked myself what would happen if i shot a carp with one of the wooden arrows that I had commonly used for target practice. There was only one way to find out. I went to the creek which was medium in size meaning water could not go past the knee. The holes in the creek were also not that big and so the water could not go past the waist. I was not afraid to walk through the water. I was already used to fishing that way. it was much more convenient and easier this way than to maneuver through brush and weeds along banks. I was able to identify where the holes were and find the best places to fish with my bow steadily in hand. It was not long before I came across some carp swimming around my vicinity and I immediately took my shot. Wow, I missed! I didn’t understand how I could miss that. The fish was right there. I saw another one and took my shot only to miss again. What was going on? I thought I was a dead shot by now. How could I be missing targets that were so close. Next I saw a carp that was right at the surface of the water with its dorsal fin perfectly visible, I took the shot and got him. Off he went on swimming fast with the arrow sticking out of his body. I quickly chased after him but he couldn’t swim fast enough and decided to hide in the deepest hole he could find. The arrow was protruding from one of the holes so I grabbed it and pulled it upwards forcing the fish out of the water. I finally caught one and he didn’t manage to escape. That day, I learned a couple of things. I went back home and read up all I could on bow fishing. I learned that because of refraction in water, fish are not always where they appear to be. Fish in water appear to above their actual position. With this new found knowledge, I learned that I should shoot about 3 inches below the position the fish appeared to be. I hardly missed a target from then henceforth. The deeper the position of the fish, the more refraction you can expect. You must always remember this fact in order to make the necessary adjustments to your bow and arrow. It may seem a little awkward shooting at a location where nothing appears to be but after some time, you will be able to know instinctively where to position your bull’s eye. Is All That Bow Fishing Equipment Really Necessary? Something else I learned is that you do not necessarily need a whole bunch of bow fishing equipment especially if you are fishing in a small or medium sized creek with shallow holes. However, If you are bow fishing in a big river or lake, you may need to have some barbed arrows, reel and string so that you do not have to chase after the fish after you have caught them. 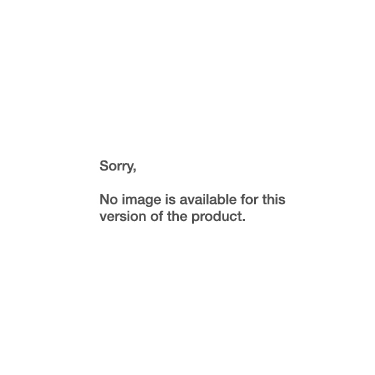 Cheap fishing lures work for Pike – Do they work? It’s common knowledge that angling or sport fishing is one of the world’s best hobbies and game fishes such as the northern pike provide a mix of thrill and excitement. However, pike fishing does pose a challenge to avid anglers all over and it’s not just these are aggressive swimmers that put up a good fight when they’re hooked, but that the lures aren’t exactly wallet-friendly. It doesn’t exactly help either that the pikes are rather finicky creatures that won’t bother with a terrible looking low-class lure. Luckily, this post has the remedy for all your woes. Below are just a handful of the most legit types of lures that are crafted to please even the big ones and won’t poke a hole in your money-holder either. 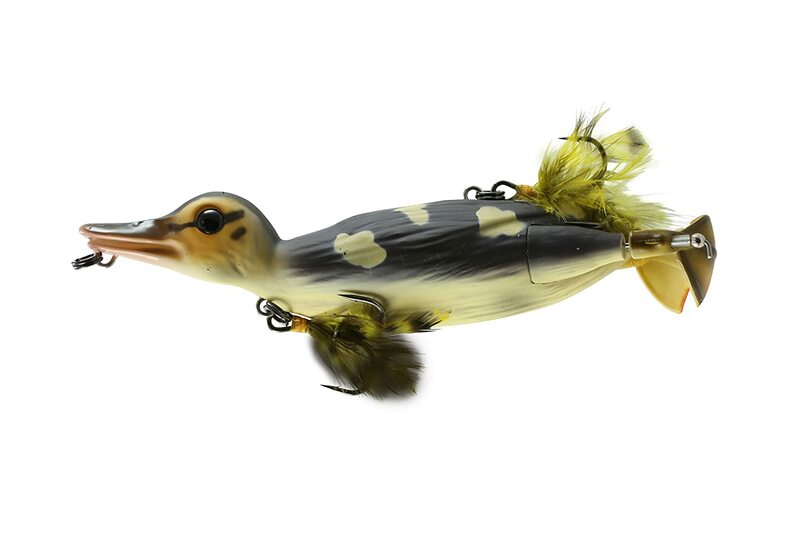 At $5.99, the Lixada Fishing Bass Lure is a 7-segment multi-jointed bionic fishing bait with lifelike 3D eyes, realistic swimming action, durable fabric made from high quality eco-friendly ABS material, and a pulling force of up to 17 kg that is capable of nabbing any vicious sea predator. With those kinds of pros, the scent of a bargain isn’t far away from happening. And other than pikes, this little fella can also hook up yellow perches, basses, trouts, roaches, muskies, walleyes and more. It is pretty much the ideal bait for netting saltwater and freshwater swimmers. Here’s another one of the best cheap fishing lures for sale that provides a slew of possibilities to any angler that uses it. This 8-segment multi-jointed number brilliantly mimics the colors, patterns and movements of an actual bait fish that no fighter fish can resist. This lure can do well at any speed and water column. It’s rigged with 2 highly durable treble hooks with flexibility hinge. An suitable all-rounder capable of hooking mandarin fish, weever, trout, snakehead and catfish among others. 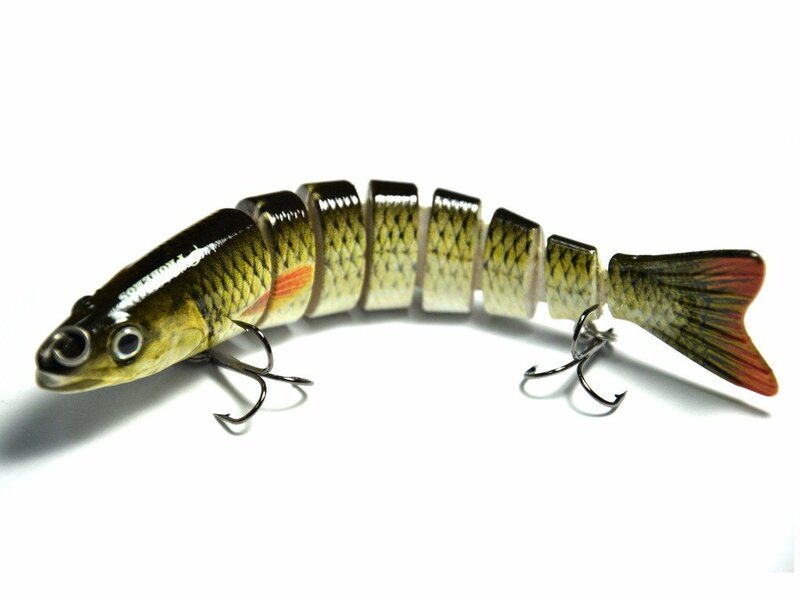 Lixada strikes again, this time with a multi jointed segment pike muskie hard minnow bait. Realistic body details, swimming movements, rapid and smooth diving actions made with durable ABS material that can last a good long while. It can create S-swim at any speed to provoke the hungry biters. And whether you take it back slowly or quickly after throwing, it will display realistic fluttering action. Pikes, zanders, basses, perches and trouts have all fallen under the spell of this magnificent lure. It requires a steady retrieve as it has a Rapala lip or a diving vein with different wobbling action and diving depth that is dependent on the size and shape of the lure. Pretty lifelike wouldn’t you say? And that’s exactly what the pikes at the end of its hook thinks so as well. The Savage Gear 3D Suicide Duck does an excellent job of mimicking the swimming actions of an actual fleeing duckling with extreme precision. Its spinning feet action causes water to be splashed in all directions that is enough to get the attention of game fishes from a great distance. Because it is rigged with both top and bottom hook configuration, anglers are able to customize the bait for any fishing condition. It is due to all of the aforementioned features and facilities that this bait had the honor of being the recipient of the 2016 ICAST Hard Bait category. The Savage Gear LB 3D Bleak Paddle Tail can perform some stellar kicking and rocking action on the drop and the retrieve. It also sports strikingly authentic baitfish details that is able to indulge any big game fish without a moment of resistance. 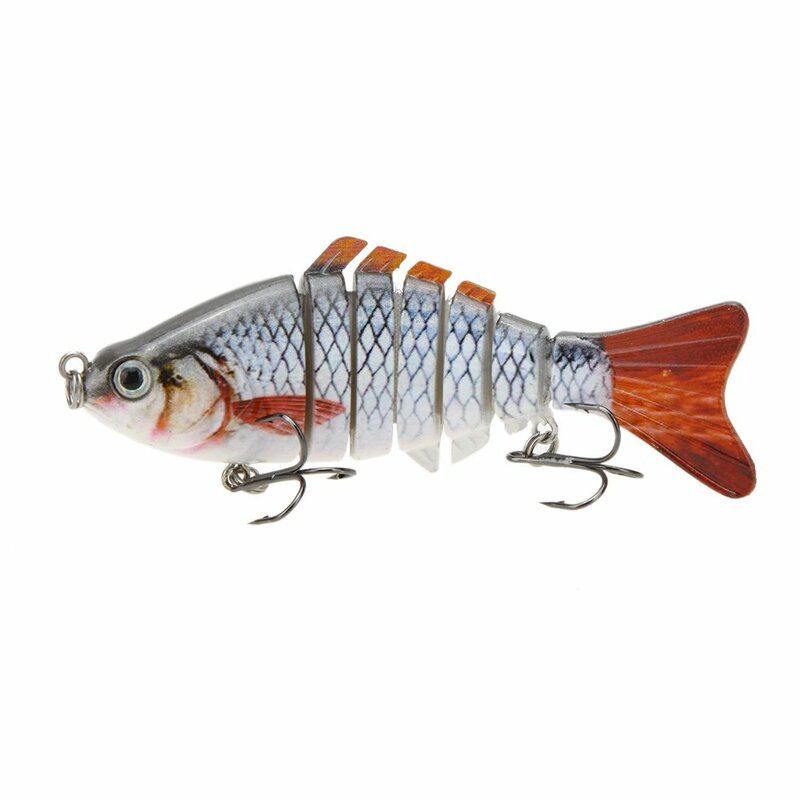 It is available in 3 variety of colors – bleak, rudd minnow and firetiger and is a simplistic bait that can draw saltwater and freshwater species. Jig baits such as this need to be cast out from shallow to deep waters. 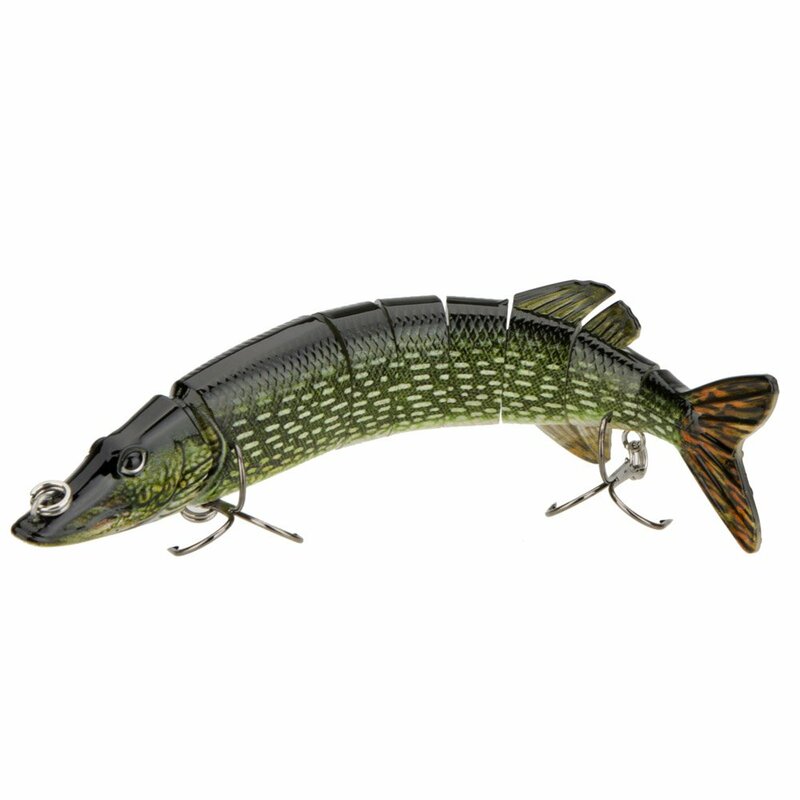 The Storm WildEye Live Pike can capture the attention of any predator from a distance thanks to its swimming actions that are as good as the original and natural color schemes. But the real deal closers are its holographic WildEye and the holographic swimming flash foil. It has a secure I-Bolt system, that can be rigged with a high-quality VMC needle point hook and a and treble belly hook. Author Bio: Laraib Shahzad is a content marketer who specializes in ghost blogging, email marketing campaigns. She worked with iconic brands like AT&T and other top advertising agencies. She helped hundreds of business owners to define their ideal clients and create a marketing message that speaks directly to those clients. In the angling world, a Grand Slam means you have caught a collection of different game fish in a single day. Although the IGFA has a list of official Slams, anglers have come up with their own versions over the years. In inshore waters, especially in the coastal Gulf of Mexico states, a Grand Slam means you caught redfish, speckled trout, and flounder on the same day. Landing a Grand Slam is a feat in itself, and more so if you do it in the one of the top fishing spots in the world. If there’s one place where you can hope of achieving this, it’s Destin alright. So, here’s what you should know before your next fishing trip. Where Can You Land A Grand Slam? Destin lies between the Gulf of Mexico on the one side and a network of coves, bayous, bays, and rivers that make the Choctawhatchee Bay, on the other. This maze of brackish waters, lagoons, and marshes is buzzing with fish that move from the inshore Gulf waters through the Destin Pass into the Bay waters. Redfish, speckled trout, and flounder are in the water throughout the year. You will have the best chances of a catch by seeking artificial reefs scattered throughout the bay – or by looking for potholes (sandy patches) around the flats. The Bay is a mashup of bayous, creeks, and estuaries which hold bait fish. Shrimp and mullet are especially active in summer months, and that’s when game fish feed aggressively too. You should seek out grass beds, oyster bars, and bridge pylons for reds, specks, and flounder. Make sure to check out the flats in the top north stretch of the Bay. You can get both reds and specks in no time – but be warned. They can be fussy sometimes, and if cut or live bait isn’t working, switch to spoons. The Bayou is home to flats and grass beds where you can sneak up on mullet and then stalk redfish. You will find schools of fish here at almost all times. It’s a popular spot for kayak fishing too. You can easily spend an hour chasing the reds along the bayou. Look at the birds flying over the water – that’s where the fish are likely to be tailing. And the rule of the thumb is – if you can find mullet, you’re most likely going to find redfish nearby. But reds aren’t the only fish in the pond. Schools of trout also move around the grassy waters looking for prey. There is a 40 ft deep spot in the bayou where you could easily be reeling in 30 trout in under an hour. Once you’ve landed your redfish, head north of Destin, to Niceville. The Rocky Bayou waters are excellent for trout fishing, especially the south side. You can do jigging with dead shrimp and it should produce good results. When the tide is heading out of the Choctawhatchee Bay into the Gulf, it carries a lot of bait fish towards the East Jetty, which you can reach on foot. It’s a busy spot as it can produce superb fishing on almost any day. Come the tide, and it’s a feeding frenzy. You will be reeling in one redfish after the other, with a good chance to land trout as well. The bridge on Hwy 98 stands right at the intersection of the bay and the Gulf of Mexico. That’s where you can benefit most from the tide as it carries baitfish and crabs all across the water. You can get redfish, speckled trout, and flounder on the same trip. How To Get Your Grand Slam? Come late summer, the waters around Destin will start glowing like a pumpkin. That’s when redfish are all over the place, foraging from inshore Gulf waters, to bays, creeks, and rivers as well. Redfish are spooky so you will need long casts to avoid losing your catch. They often move in schools so if you lose one, you should easily get another. Redfish eat off the bottom, so you should add just a light sinker to keep your bait near the seafloor. Mullet, shrimp, and pinfish work really well. As for the time of day, almost any hour is a good hour to be looking for redfish around these waters. Probably the tastiest of the “Slam fellas”, speckled trout are on any angler’s bucket list. They live across a variety of waters, from marshes, to brackish waters, backcountry waters, and the Gulf of Mexico inshore fisheries. You can get them in Destin throughout the year, with warmer months being more productive. For the best chances, you should bring natural bait, including shrimp, muller, or pinfish. Once they strike, trout will make a run towards shelter, grass, or any other nearby structure. They have a soft mouth, so make sure not to pull too strongly and give the line some slack. While flounder may seem like an easy catch, they are no piece of cake. They like to hide near the bottom and often camouflage so it’s difficult to discern them from the sandy or muddy bottom. Most anglers prefer to catch them at night time, using LED lights and often from the surf or piers. You don’t have to wait until dusk to have a go at them. When they are hungry, they will strike at any time. Pinfish, minnows, croakers, and mullet will do the trick. They may not be the smartest of fish, but they won’t give up just that easily. Make sure to be patient and let them swim away from you before you start reeling in. The best time to catch flounder is throughout spring and summer. We hope that you have found these tips useful. Have you landed an Inshore Grand Slam in Destin before? What bait did you use and where did you fish? Let us know in the comments below! Life is much severe than it once was. With time the needs and requirements of daily life are increasing.in this new era of modernization due to innovations and renovations the everyday life items are being updated and upgraded. Every day the stock market releases a new gadget or a new accessory. Due to the increase in needs and due to increase quantity and quality of products the daily usage of such devices is increasing so is the budget required to use these gadgets. As the capital and the revenue required is increasing so is the job time increasing. Due to the burden of work a trip outside is necessary. Fishing can be the best option for the relaxation of your mind. Fishing helps us with various advantages. These advantages may be physical or mental. But for fishing, some equipment is essential which may vary with the time of indulging in the trip. About may seem unessential and waste, but it can turn the tables. Fishing is most expected at seashores or river banks, but there is a very low probability of catching a fish instantly while being seated at the same place. But through about you can enjoy boating and fishing simultaneously and a constant movement provided through a boat can help you cover a waste region and can increase your chances to catch a fish immediately. Though fishing can be a very entertaining and thrilling act at times fishing can turn costly. Fishing is a bit dangerous and requires some care. You can be easily injured while fishing. It can be natural, or the sharp equipment for the fishing can cause it. It may be due your carelessness. It may be due to any underwater beings which may cause scratches, and harmful or poisonous organisms can create an impact of a sudden requirement of first aid. The fishing equipment like knife or needles can cause you with some minor injuries which may need some bandages so we must have first aid available. It is a much needed equipment. It can be used with the hooks of either getting them off your body or off a fish. It can also be used for displacing a net if you aren't utilizing a fishing road. This needle can be necessary during use of any nail or hard items. As there is a harsh environment in venues of fishing, so sunscreen is needed both for the fairness. It is one of the essential items as lures are the best way to attract the fish towards the rod. Fishing is not even possible without proper equipment. Baitcasting reel, spincast and other items are necessary to implement fishing. Click here to get the best ones! Tom is a blogger and a nature lover. He is obsessed with traveling and adventures and that too with his family. He believes that water has a steady hold of him. He regularly writes about his experiences at http://kayakcritic.net/. A camera is a device used to capture the images of your interest based on the amount of the visible light. Pictures taken without enough visible light always seem to dark and obscured. In the same way, thermal image cameras use the infrared radiation of an object to capture the scenes. All objects emit infrared radiation in the form of heat. This heat produced is not same in all objects and these diverse heat radiations are termed as heat signatures. These heat signatures are meticulously sensed by the sensor which itself is the thermal camera and sent to the electronic section which produces a clear picture about the eclipsed images in the dark backdrop. Although, thermal cameras are available in various expenses, what exactly is the difference between them? It is the focal length which is mentioned as f-number near the lens. Increase in the focal length of the lenses shall increase the clarity of the images. With a thermal camera of a superior focal length a clear image of the object beyond the normal perception is also possible. These thermal cameras are used in various applications which are of great support to humans. Let’s go through some practical applications of thermal imaging cameras in various fields. Firefighting is a dangerous and valorous activity done by fire fighter’s to prevent the spread of the uncontrollable fire thereby protecting lives and property. Thermo gears can be of great help for firefighters to examine the fire beneath various concealed areas like doors, cupboards, broken wooden materials. In some fire accidents, the fire seem to have subsided but there shall be lot of fuming embers building enough pressure to explode the entire location. Thermo gears shall be of extreme support in such situations to detect the unseen temperatures thereby saving many lives and property. Moreover, after putting out the fire, rescuing the people trapped under various frayed and damaged items shall be easy with this thermal imaging camera. Heat leaks occur in various types of industries, houses, pipelines, electrical outlets etc. Detecting this heat with eyes is not possible. At the same time, one cannot dare to touch any hotspot which can prove to be fatal. Moreover, delayed response to heat leaks can also cause loss of lives and property. Industrial leaks shall be catastrophic if it is not discovered as fast as possible. Thermal imaging camera shall be a remedy to all these hassles by which you can find hot spots and leaks in no time. The normal body temperature of human is 98.6 °F and this temperature is provided by the constant circulation of blood in its vessels. Abnormal temperature in the body can be a symptom of various sicknesses like SARS, bird flu, Ebola etc. Usage of thermal imaging camera at the airports can be helpful in screening the passengers visiting our nation in order to prevent epidemic and pandemic diseases. Moreover, thermal imaging camera can also be used in diagnosing disorders in neck, limbs, back and various muscular, circulatory and skeletal problems. Hunting is a bold and exciting task which serves as a stress reliever. It also bestows people with an imitation of a military man at the first line of defense. While guarding your house or any other property, you shall not be able to see anything in the dark and so you cannot hunt any animal invading your house or garden. Using thermal imaging cameras, you can witness any animal in the dark by detecting their heat signatures which makes hunting easier. Camping is nothing but staying outside your home, very close to nature. Personal safety, fire safety plays a crucial role in camping. Invasion of wild animals is more prone while camping in the vicinity of the wildlife habitats. Defending you from those animals with naked eyes is almost useless. But thermal imaging camera can help you to tackle such animals by providing you a clear image about your environment. Moreover, concealed fuming embers in the campfires can also be properly put out using thermal imaging cameras when you are about to leave your campsite. The word maritime refers to something related with seas and navigation refers to movement. When a coastal ship is ferrying, looking for any other enemy vessel by using ordinary lenses does not seem to be decisive. There also possibilities for the enemy vessels to be camouflaged to escape from your sweep. But, thermal cameras with a standard f-number can easily detect the presence of another hot object in the sea. There are also thermal cameras which can be operated in both hot and cold mode to do the job at the night time. Heat and electricity are intimate and inseparable friends. An electric wire always produces heat as it travels through a wire but, naked human eyes can’t be helpful in detecting that heat. Sometimes, there may improper power dissipation, hot and lose electrical connections and many other associated problems in your home which can be dangerous to handle. In such situations, thermal imaging camera allows you to see the presence of electricity by its images. Moreover, thermal imaging camera shall be very helpful to those who repair PCB boards to check the availability of power. As we know all electronic components, emit heat while they work. Transformers, Air conditioners, and compressors are made up tightly wound coils. These coils when supplied with enough electricity, produces flux which in turn does its assigned job. Sometimes, there shall be heavy loss of heat in the coil which may be due to electrical or mechanical disturbances. These disturbances hinder the performance of the system. But when, repairing those items, thermal imaging camera helps you very much to identify the exact point of the heat dissipation thereby making your job easier. In areas of dense vegetation, commuting in a car shall be hindered by the wild animals. When the car is travelling fast, the driver may not be able to see animal beyond the limit of the headlight causing severe accidents to the wild animals like foxes, wolves, and deer’s, etc. Thermal imaging camera is a fantastic solution to this issue as it can make the driver, see the animal far beyond several yards thereby preventing accidents. Thermal imaging cameras are very much useful to detect the complication in hydraulics also. The temperature of the oil used in hydraulics can be monitored by a thermal imaging camera thereby detecting the blocks, breaks and worn outs in the hoses and cylinders. Moreover, they are also used in detecting cracks, de-bonding in the fuselage of aircrafts too.